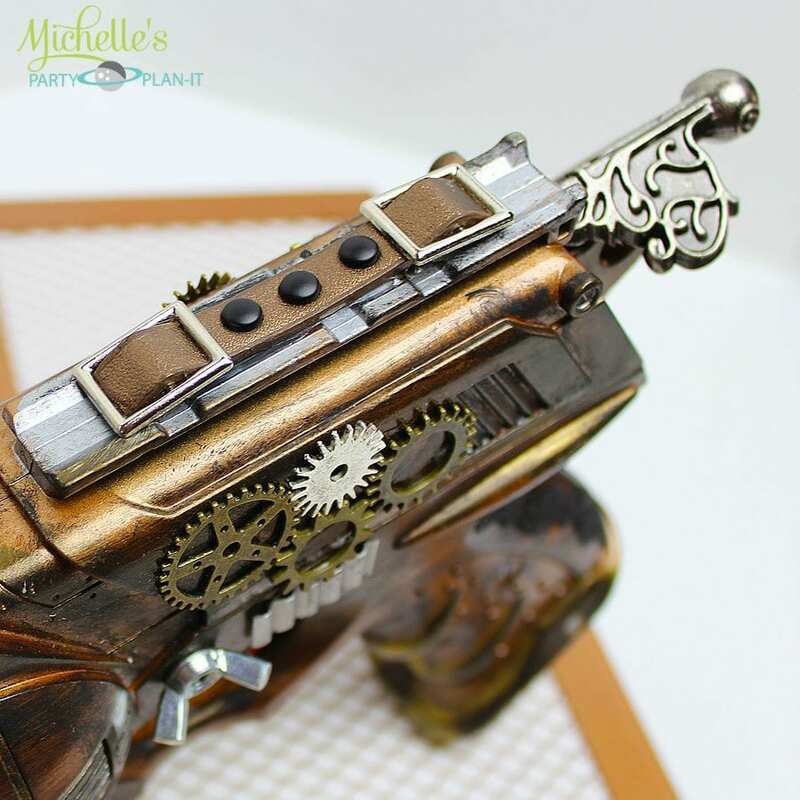 Last week I shared the pair of DIY Steampunk Goggles I made for my “Stopping Time…Forever Thirty-Nine” birthday party, today I’m sharing the matching Steampunk Nerf Gun! 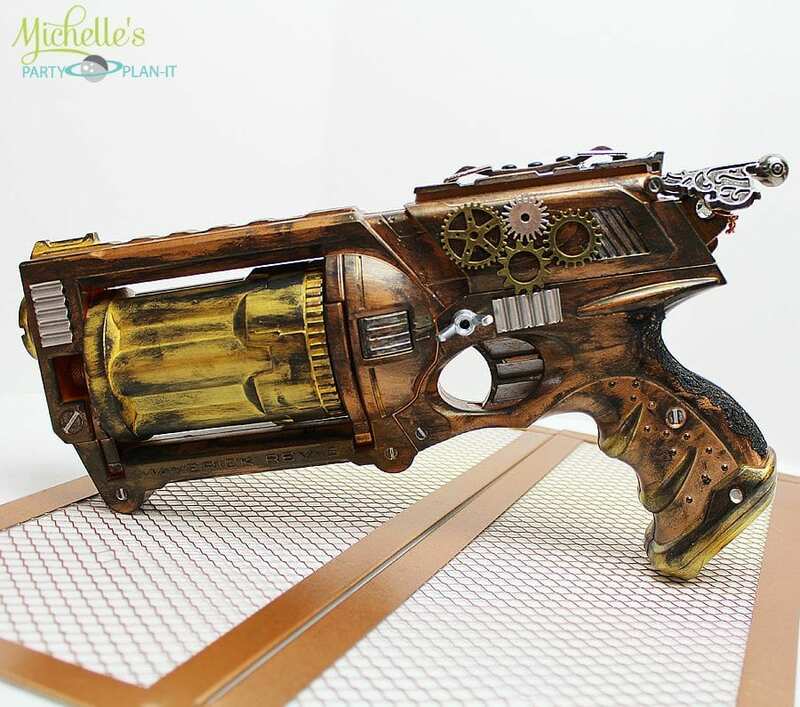 While searching for Steampunk props for my costume, I came upon the Steampunk Nerf Guns post on the Instructables site and was inspired to Steampunk a Nerf Gun of my own. Luckily, I didn’t have to buy anything new for this project. My sons have a huge arsenal of Nerf Guns and they generously donated their Maverick Rev 6 gun for my project. 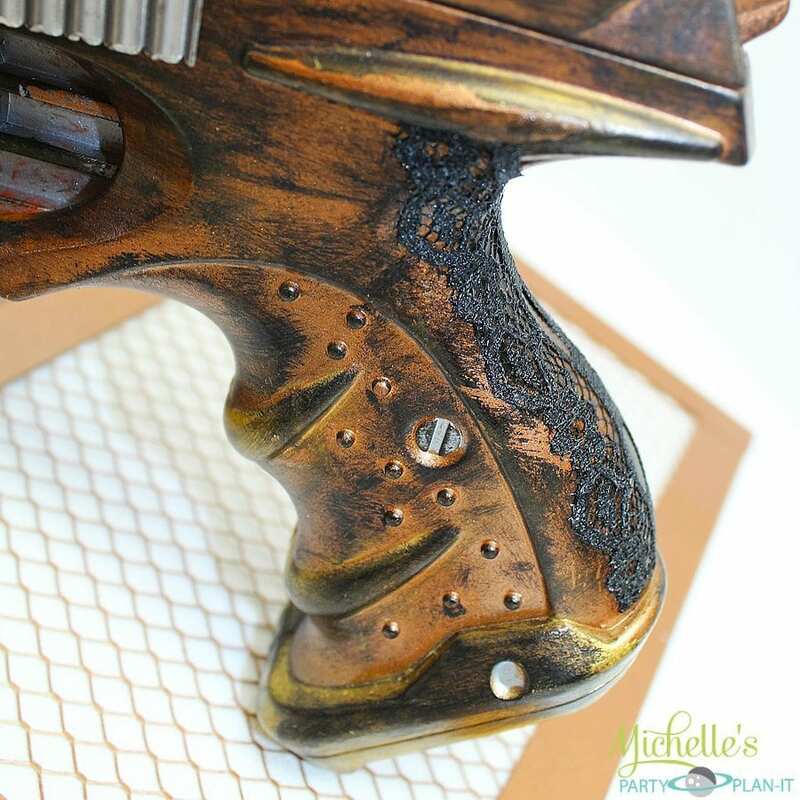 To get started, my husband spray painted the whole gun metallic bronze. 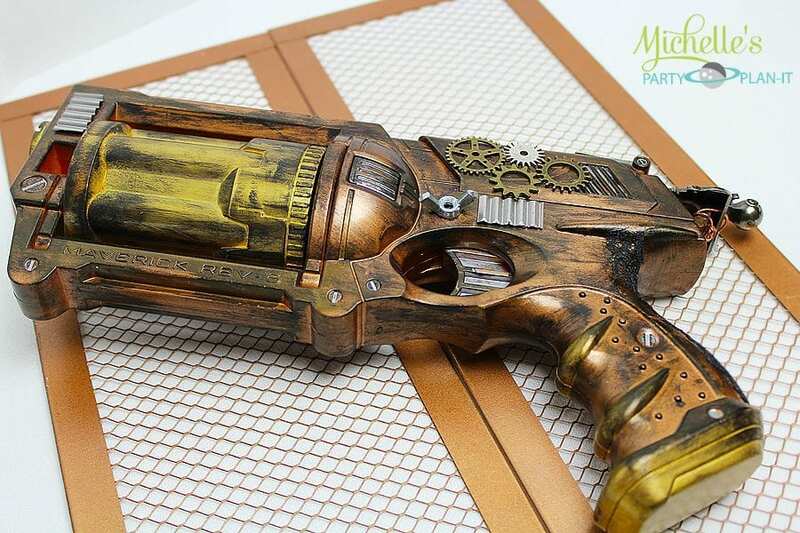 Once the paint dried, I added gold paint to the barrel and handle and then “aged” it by rubbing black paint all over the gun with a cloth to give it a worn look. I then lightly brushed silver metallic paint in accent areas. 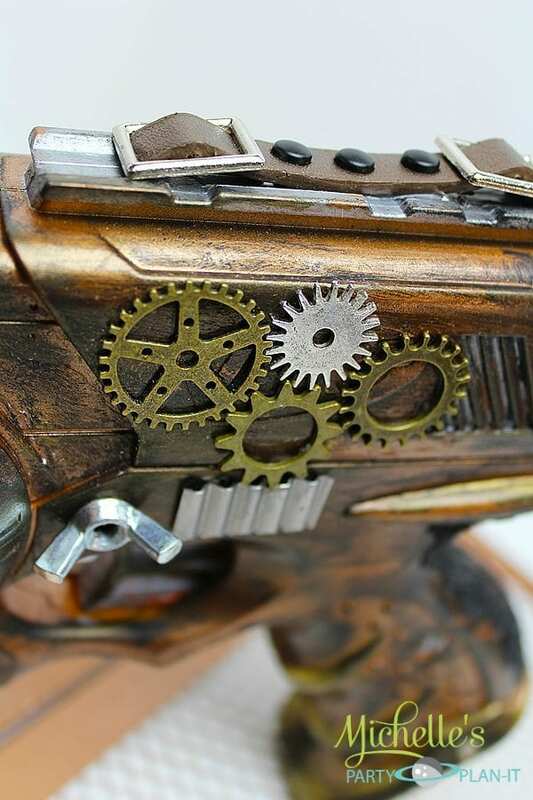 Once the paint dried, I added metal gears and miscellaneous hardware on both sides of the gun with super glue. I then added a strip of pleather strapping (leftover from my goggles) to the top of the gun and added brads and buckles for embellishment. 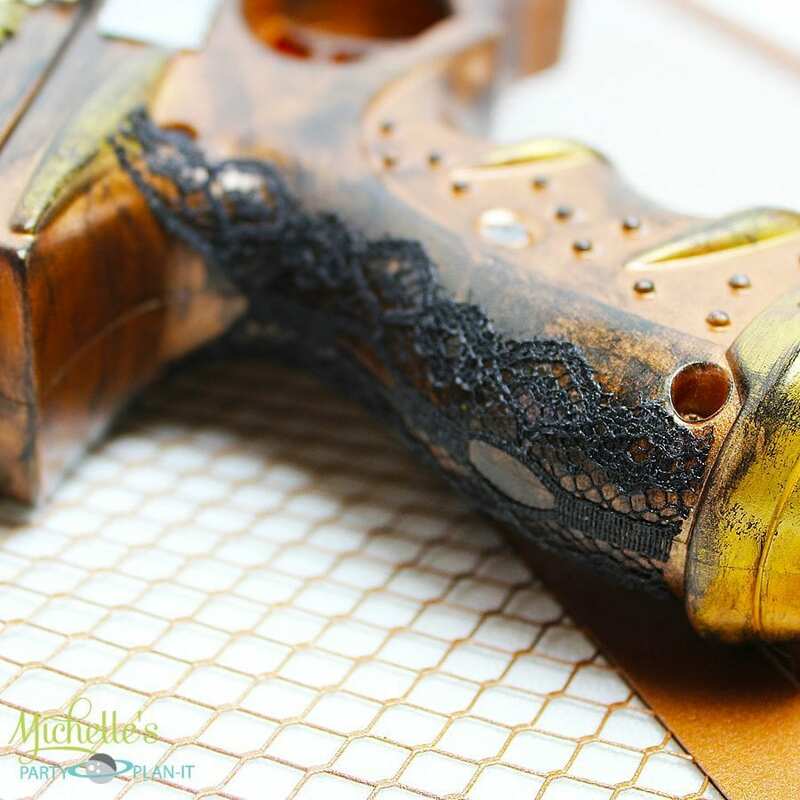 Lastly, I decoupaged a piece of black lace to the handle for a touch of femininity. 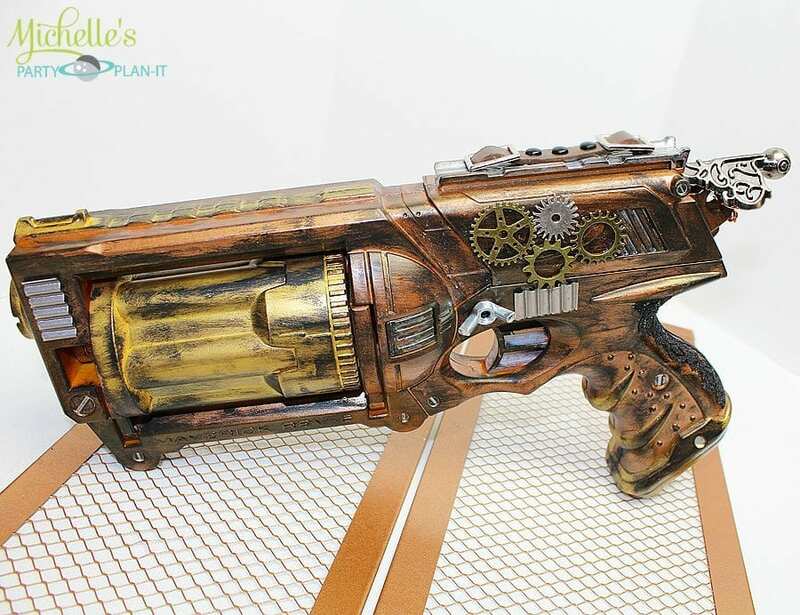 This ended up being one of my favorite DIY projects from my party, not to mention I now have the coolest Nerf Gun in the house! Ha! It was the perfect addition to my costume AND a great photo booth prop! Thank you for stopping by and God Bless! 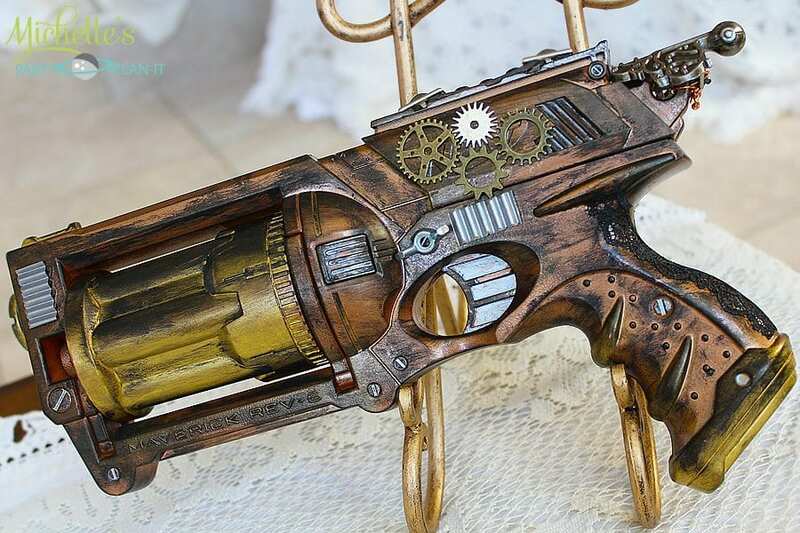 Are you fan of Steampunk? Follow my Pinterest Board! 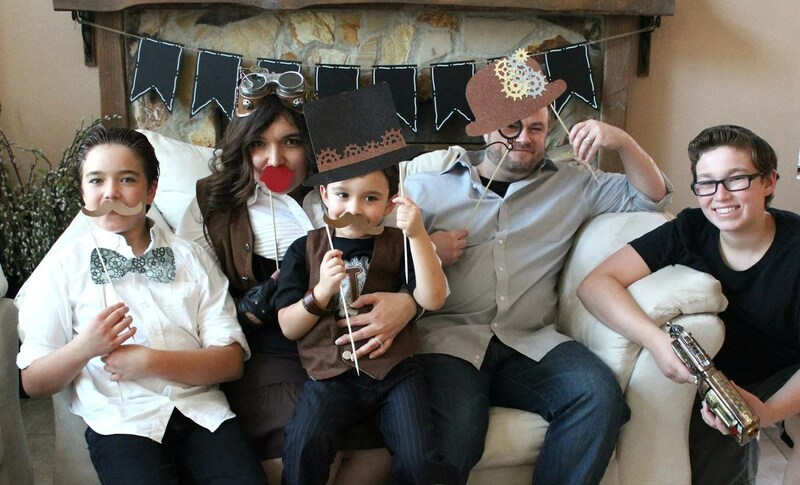 Follow Michelle’s Party Plan-It’s board Steampunk Party Ideas // Michelle’s Party Plan-It on Pinterest.